We see mentors all over the world, in fiction and in reality – whether it is Luke Skywalker learning from Yoda, or Jackie Chan modeling his career after Bruce Lee. Mentorship existed in Jesus’ day between a rabbi and his disciples. Jesus was considered a rabbi … in other words, teacher. His apprentices were disciples or learners. A disciple’s job was to follow their rabbi until they absorbed what they could from them. Jesus came so that his followers ‘may have life, and have it to the full’. Jesus is our ultimate mentor. Identifying an area of need and providing specific assignments and ongoing accountability. Providing the apprentice with motivation, perspective and skills to enable them to achieve effectiveness and change. They focus on developing specific arenas, such as spiritual disciplines and relationships. Offering specific advice at appropriate times. Mentors are impartial observers who provide valuable outside perspective. Bringing knowledge, resources, and motivation for growth in specific areas such as parenting, career, or other identified areas of need. Guiding, using their own relational connection to help gain opportunities and experience. The mentorship relationship is designed for a pre-determined length of time with specific goals set. It is important to understand that mentors are identified by the pastoral staff and will be matched prayerfully with each mentee based on their life experience, skill, and personality. Mentors are not expected to be therapists, job recruiters, etc. The program is designed for those seeking mentorship to be matched with someone who will provide encouragement, advice, expertise, resources and accountability through prayer and spiritual guidance. Simply fill out the following form. Once submitted, you will be contacted within the next two weeks by your mentor. If you have any questions, please contact Jessica Dyer. 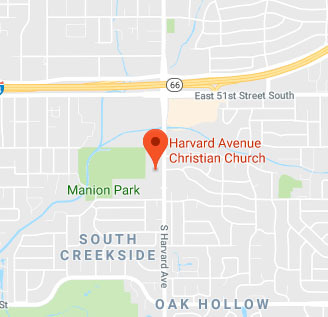 What Ministries/Groups Have You Connected With At Harvard Ave. Christian Church? Why Are You Interested In Connecting With A Mentor? What Additional Information Would Be Helpful For Your Mentor To Know? A child-focused initiative that helps students identify, talk about, and prevent prejudice. Upcoming congregational study and listening group on race, inclusion, and faith. Dates TBD. for information regarding police training, protocol, and what can be done to advocate for the best raining for law enforcement.